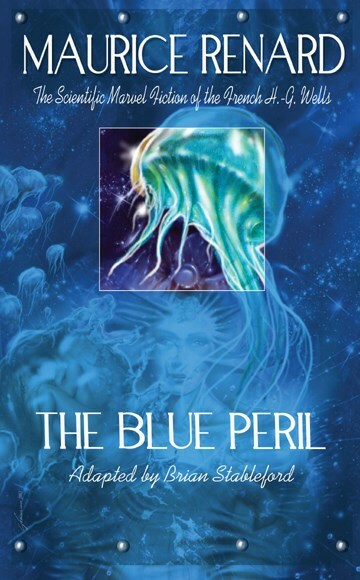 The Blue Peril (1911), which many consider to be Renard's masterpiece, features invisible alien creatures which live in high Earth orbit and which, feeling threatened by man's incursion into space, retaliate by fishing for men the way we capture fish, and studying our species. "In spite of the vast progress in the exploration of extraordinary ideas made by 20th century science fiction writers, very few have ventured into territories as exotic as the ones featured herein, and even fewer have done so with the same intellectual boldness and narrative flair." Often hailed as the best French science fiction writer of the early 20th century, Maurice Renard coined the term "Scientific Marvel Fiction" to pen a series of gripping, ground-breaking stories that owe as much to Edgar Allan Poe as they do to H.-G. Wells. Until now, Renard was best known to the English-speaking public for his thrice-filmed thriller, The Hands of Orlac. This is a series of five volumes, translated and annotated by Brian Stableford, devoted to presenting the classic works of this pioneering giant of French science fiction.